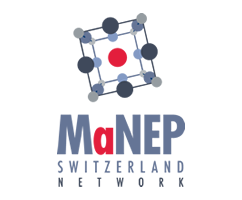 MaNEP Switzerland is a network federating scientists, researchers and students working in Swiss universities, institutes of technology, engineering high schools or industry, and interested in novel quantum matter and devices. It is an interactive platform for network members and a gateway for industrial partnerships. Our main goal is to reinforce research on the physics of quantum matter and devices at a national scale by organizing regular events, strengthening the ties among scientists and students and promoting our research to industry, political stakeholders and the general public.